All three major indices posted gains in the second quarter of 2018 despite persistent volatility throughout the first half of the year.1 Overall, year-to-date returns were mixed with the Dow Jones Industrials finishing in the red (DJIA -1.8%; S&P 1.7%; NASDAQ 8.8%). What's next? In large measure, the answer hinges on the Federal Reserve's ability to strike a happy balance between economic growth and inflation.2 And when it comes to defeating inflation and taming the business cycle, the Federal Reserve has a number of weapons at its disposal. Chief among them is the ability to control short-term interest rates (Figure 2). By changing the price of credit, the Fed in effect influences the business cycle.3 So now that the economy has perked up following eight years of near zero short-term interest rates, it's not surprising that the Fed has moved on from its stimulative quantitative easing policy in favor of hiking interest rates to stave off a perceived inflation threat. Will it work? It's easy to understand the Fed's concern. By official definition, the total income generated within our borders adds up to Gross Domestic Product. Inflation eats up income by reducing the purchasing power of returns on capital and labor. It’s an insidious, de facto tax. What gets taxed in America? Work, production, savings and investment -- the stuff that generates economic prosperity and, in turn, share prices. And it’s a long-settled principle that if you tax something, you’ll get less of it. True, statutory tax rates were reduced this year, but inflation cuts in the opposite direction. Imagine the fallout if the price of credit quickly doubled. Few observers would expect the economy, inflation and the financial markets to remain calm. And while the allegory may seem extreme, rates are already moving up. And if the Fed sticks with their playbook, they'll tighten still further. But what if the Fed miscalculates and overshoots? The quantity of goods and services would shrink and economic growth could stagnate. Look at what happened during the run-up to the Great Recession.4 Short term interest rates tripled (Figure 3), as the 1-year Treasury yield increased from 1.32% (December 31, 2002 close) to 4.38% at the end of 2006. A year later, the economy started to collapse. Did inflation abate? Not at first. The Consumer Price Index averaged 3.84% in 2008, its highest calendar-year reading since 1991, in large part due to a massive run-up in oil prices. While still manageable, inflation is ticking up. Cautious risk-taking is warranted. "It is easy and safe to prophesy. . . that a period of high interest rates will lead to a sharp decline in the market." 1 Of the 125 trading sessions in the first half of 2018, the S&P witnessed a price change in excess of 1% on 35 occasions. Eight days had a price swing greater than 2%. 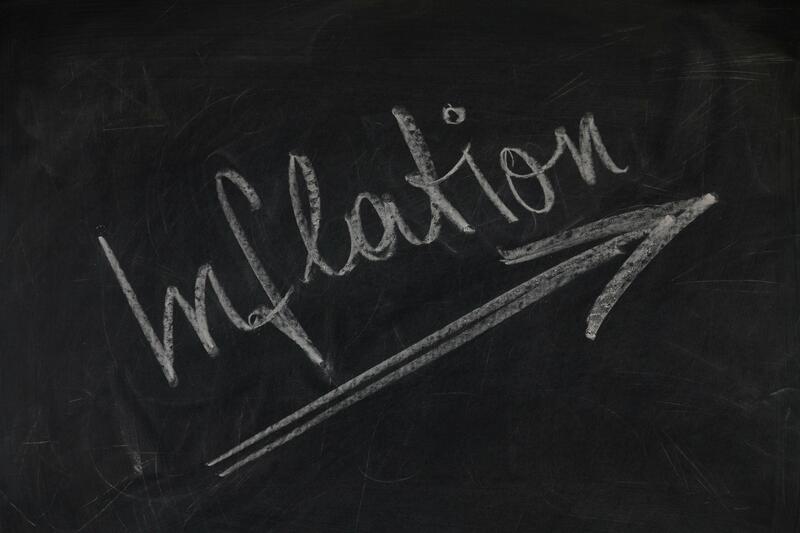 2 Inflation, as measured by the Consumer Price Index, is calculated monthly by the U.S. Bureau of Labor Statistics. The CPI measures the prices paid by urban consumers for a basket of roughly 80,000 items and is the most widely used inflation benchmark. 3 The Federal Open Market Committee controls the discount rate (the interest rate charged to member banks for borrowing from Reserve Banks) and the Federal funds rate (the rate of interest charged to banks for borrowing excess reserves from other banks). 4 According to the National Bureau of Economic Research, the Great Recession commenced in December 2007 and ended in June 2009. It was the worst economic decline since the 1930s, resulting in a scarcity of liquidity and near-collapse of the financial sector. 5 As a statistical matter, some 75% of annual inflation as measured by the CPI is explained by prior-year changes in Treasury bill yields.